Now this sounds like an awesomely inspiring weekend! 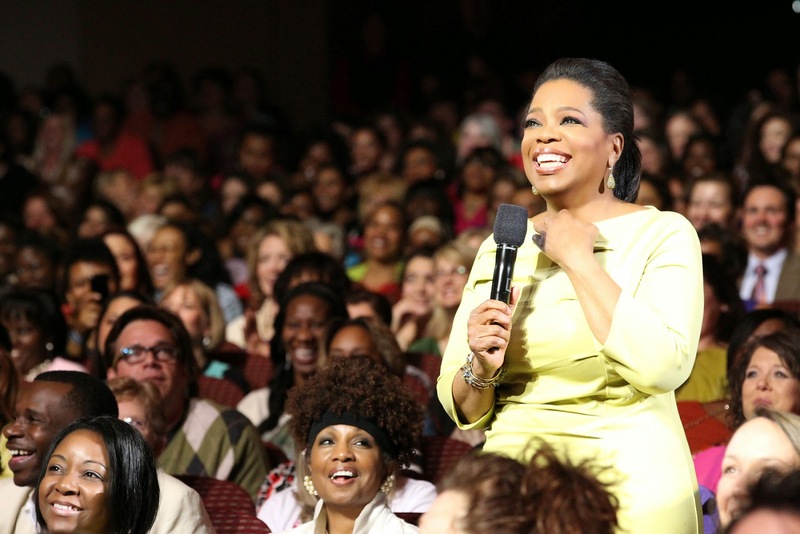 Oprah Winfrey is coming to the Palace of Auburn Hills next weekend - September 12 & 13. Please note that the tickets I've been provided to giveaway are for both days, as the show encompasses Friday night (7 - 9PM) AND Saturday (9AM - 5:30PM). On Friday night, Oprah will take the stage, bringing her personal story and insights to life in a one of a kind intimate evening. Then on Saturday, Oprah will lead a day-long gathering of thousands with handpicked thought leaders and pop culture icons including Iyanla Vanzant, star of OWN’s hit series Iyanla Fix My Life, regular O Magazine contributor, best-selling author and spiritual life coach; and best-selling author of Eat Pray Love, Elizabeth Gilbert. You truly can live the life you want, and Oprah and her inspiring guests want to help you get there. For one entry (REQUIRED): Comment on this post telling us who you find most inspiring, and including your name and contact info (phone number or email address). PLEASE NOTE: Entries without contact info will not be considered valid. For an additional entry: Comment on any other post on this blog, then come back to this post and tell me which post you commented on (including your name to match up with the first entry). That's it! Two entries possible, and I'll determine the winner randomly on Tuesday, September 9 at 11PM ET. Posted on What the Hell Wednesday. One person who inspires me is my friend Joellen. In her mid 30's she decided to leave a successful full time career to go back to school and pursue a career she could be passionate about. She and her husband sold their house, moved hours away from their family, she went back to school with kids much younger and came out in the top of her class...oh and had a child right before graduation! My mother is the most inspiring person I know.